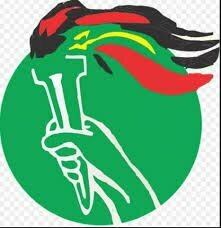 UNIP in Southern Province has blamed the Electoral Commission of Zambia (ECZ) and the Zambia Police for the political violence which the country has witnessed in the last few days. UNIP provincial chairman and member of the central committee Captain Robert Mukengami said that the violence being reported was perpetuated by well-known political parties and their cadres but the police and ECZ were watching the situation with folded arms. According to Capt Mukengami, ECZ was fuelling the violence and causing chaos in Zambia by failing to suspend the opposition UPND and PF for the violence which was reported in Namwala and Lusaka respectively. “ECZ is causing chaos in this country because the institution knows the perpetrators of the violence which took place in Namwala and the perpetrators of the vice which is being reported in Lusaka. He said for Namwala, ECZ should have suspended the UPND instead of putting up a blanket suspension on campaigns. “This also applies to the PF in Lusaka. But ECZ and the police have proved to us that they are toothless because they are dancing to the tune of these two political parties,” said Capt Mukengami. He said UNIP was saddened by the ECZ and the police for the decisions taken over Namwala and Lusaka because the culprits of electoral violence were known. “We witnessed shootings in Mulobezi but ECZ failed to make a decision. This to us has proved that the institution is not fit to administer this year’s generation elections,” he said. Capt Mukengami said that it was a pity that a life was lost in Lusaka because of the same violent behaviour by cadres who defied police orders. “If only the UPND listened to the police, life would not have been lost but look at what happened? It is very unfortunate. I want to make it clear that politicians in this country have lost credibility because they only want to think about themselves and not the nation,” he said.